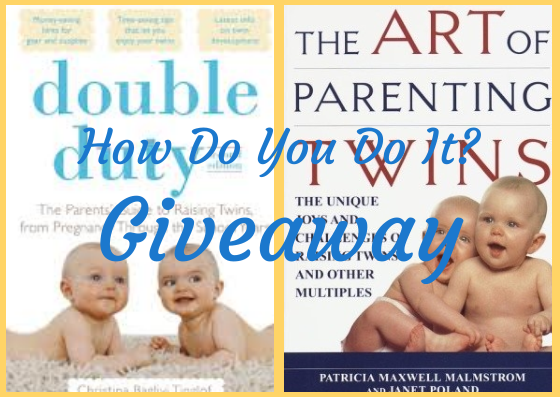 Parenting Book Theme Week and Giveaway | How Do You Do It? 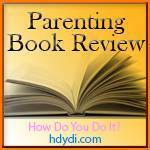 All week, we’re going to be reviewing books about parenting here at How Do You Do It? That’s right! It’s time for another theme week. We’re going to be talking about books across the spectrum, from 1-2-3 Magic , Beyond the Sling and How to Talk So Kids Will Listen & Listen So Kids Will Talk to NurtureShock , Raising Your Spirited Child and Parenting, Inc. along with many, many others. 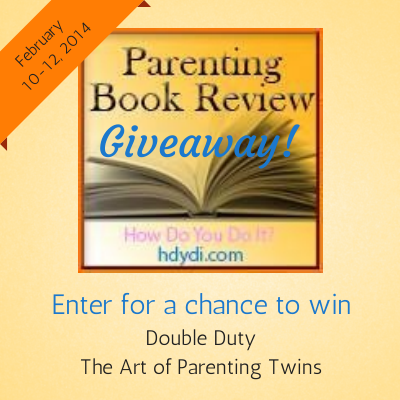 Margie and Janna will share some thoughts on parenting books in general, so stayed tuned for their posts. To make things even more fun, we’re hosting giveaways every day this week, offering up packages of books to add to your library. Check out our 6 am (CST) posts every day this week for your chance to win! Readers anywhere in the world are eligible to win ebooks. However, to keep our shipping expenses manageable, hard copy books are limited to winners with US mailing addresses. Should a non-US reader win a package that includes both ebooks and hard copy books, the hard copy books will be awarded to a second place US winner while the original winner will be sent the ebooks. Today’s package includes two books perfect for MoMs: Double Duty : The Parents’ Guide to Raising Twins, from Pregnancy through the School Years (2nd Edition) by Christina Baglivi Tinglof and The Art of Parenting Twins: The Unique Joys and Challenges of Raising Twins and Other Multiples by Patricia Malmstrom and Janet Poland. Since these are both hard copies, this particular giveaway is limited to US participants. However, giveaways over the next few days will include ebooks, available to a winner anywhere in the world! We’re offering a bazillion ways to enter, but the only thing you have to do throw your hat in the ring is leave us a comment on any of this week’s posts by the time the giveaway ends. Want to see the full list of giveaways and current list of book review posts? Just keep an eye on our theme week page. Got a must-read book on your shelf? Tell us about it in the comments! I need all the help I can get bringing two babies into this world! Next Next post: Can We Please Get a Chapter about Multiples?